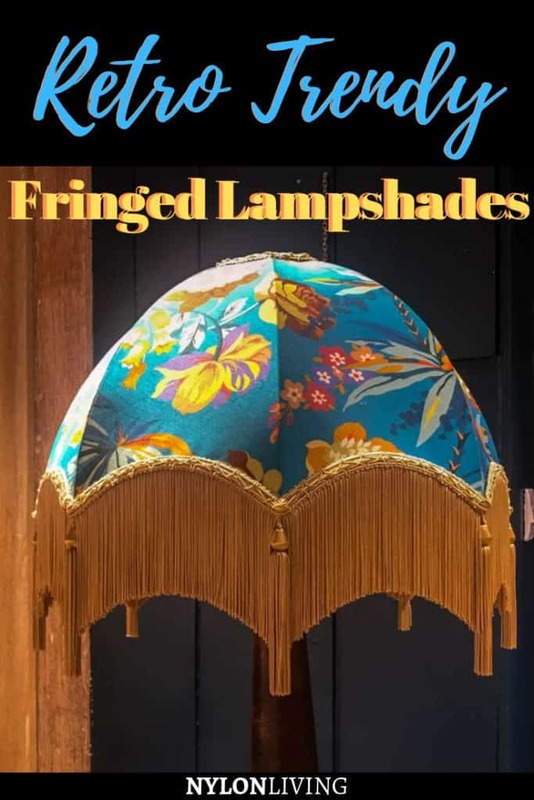 When you think of fringed lamp shades do you think of those Victorian fringe lamp shades that a Miss Havisham would have in a dark and fussy interior? Well, think again. Fringe on anything is having a big resurgence thanks to the love of boho and eclectic interiors. 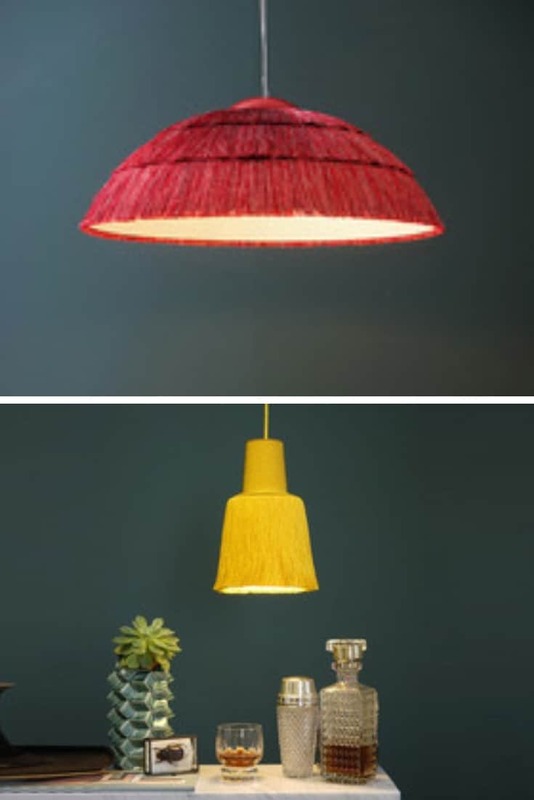 You see fringe lamp shades everywhere now because lighting is an easy update for your home. And also don’t feel that if you are going to have lamp shades with fringe, that you have to have patterned lamp shades. Not only can you have plain lamp shades with fringe but also options like a fringe chandelier and a fringed ceiling light. A recent trip to my favourite department store in London, Liberty, showed the trend for fringed lampshades in full bloom. 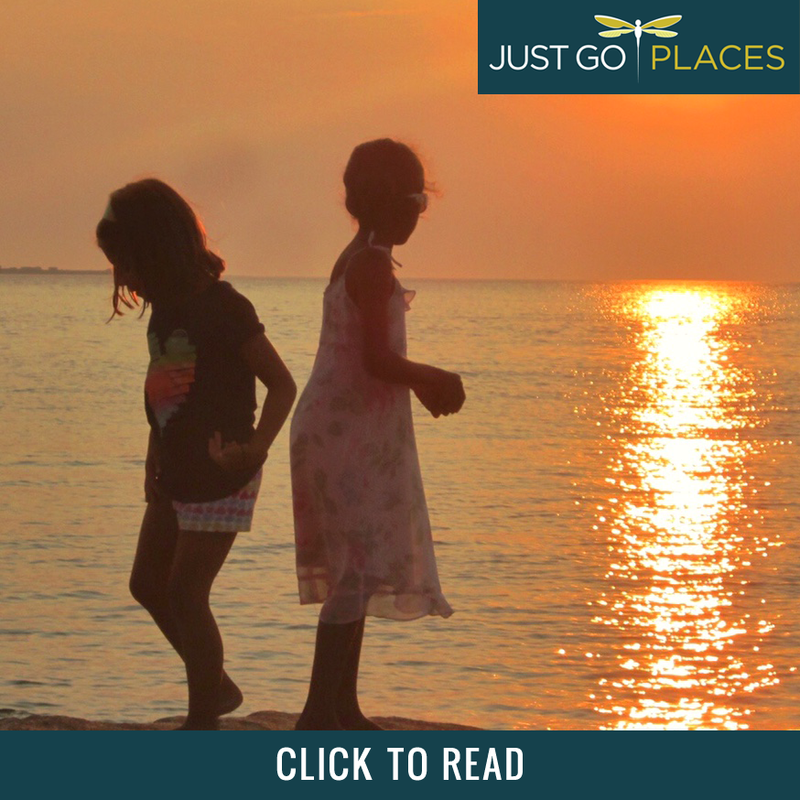 You turned around and there it was – a fringe lamp shade on a desk lamp, floor lamp, ceiling light etc. 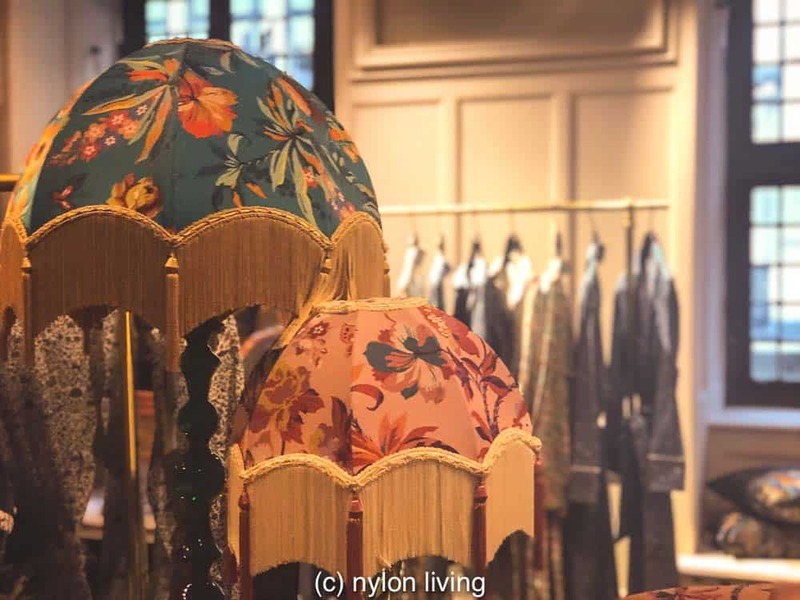 If you didn’t know that lampshades with fringe were a trend before you went into the store, you definitely did after you left. 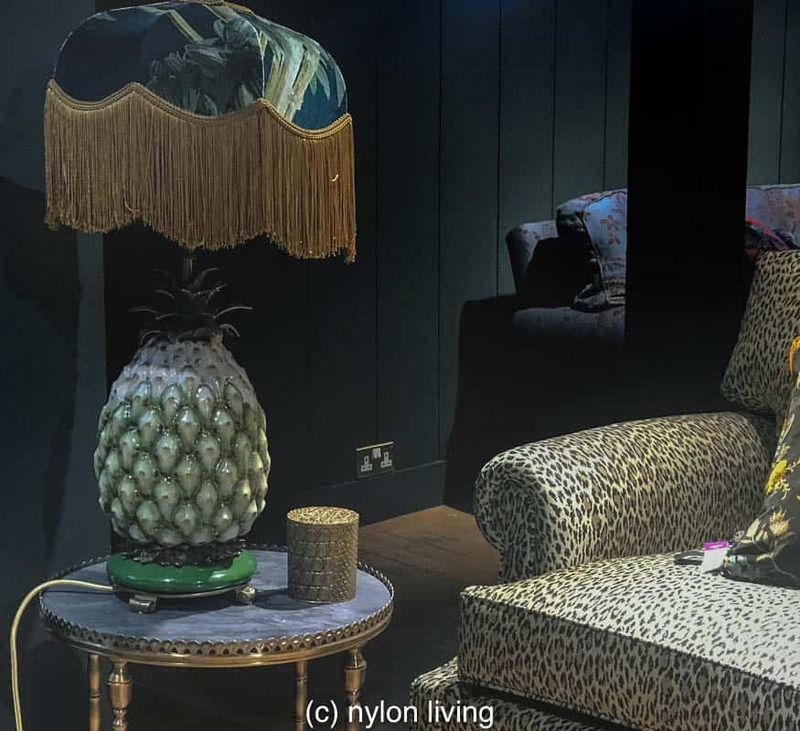 House of Hackney put a fringe lamp shade on that traditional sign of hospitality, a pineapple. Aren’t the fringed lamp shades table lamps set on animal bases charming? 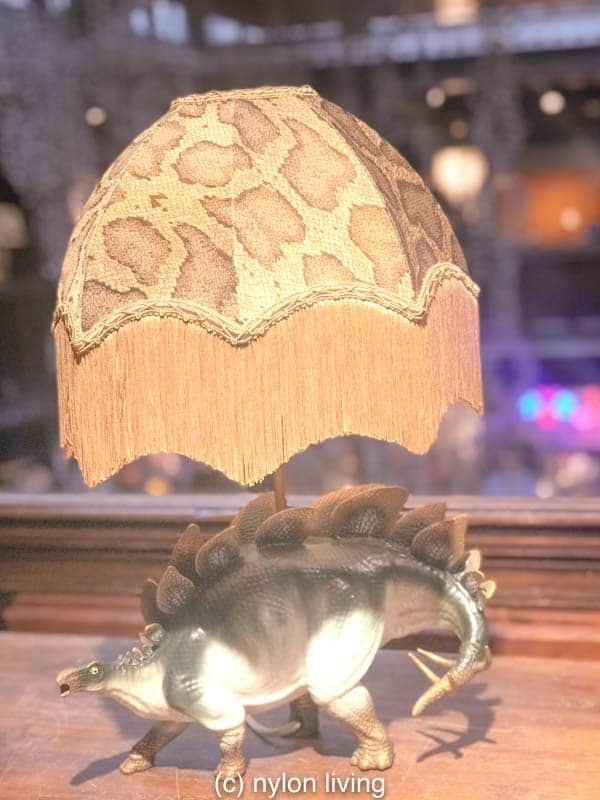 No need to be stuffy – how about a non traditional animal base with lampshade fringe like this dinosaur? I love the silky swingy look of fringe but I’m not sure about all that pattern on these fringe lamp shades. 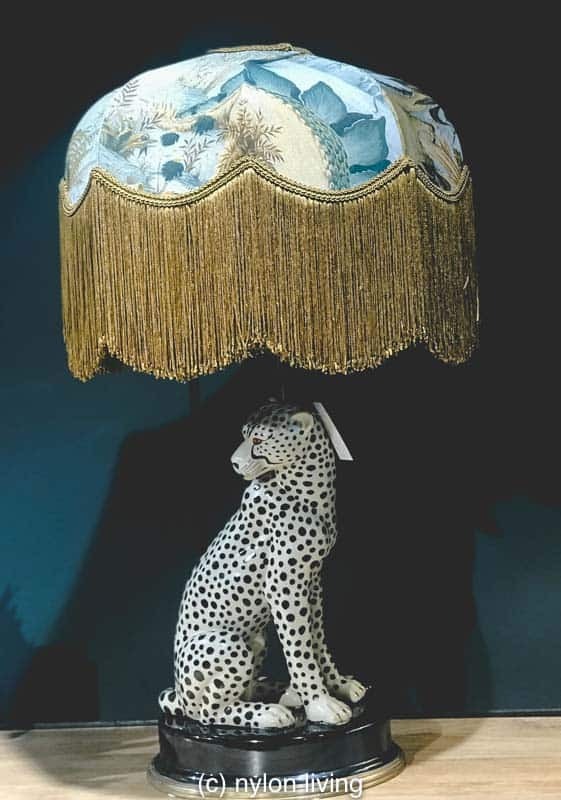 I started looking around for alternative options for fringed table lamp shades and found some that are not so devoted to the Victorian fringe lamp shades aesthetic. For example, the two drum shades below are a more streamlined approach to the fringed lampshades look. In fact, their pared down simplicity is almost feels Scandinavian to me. 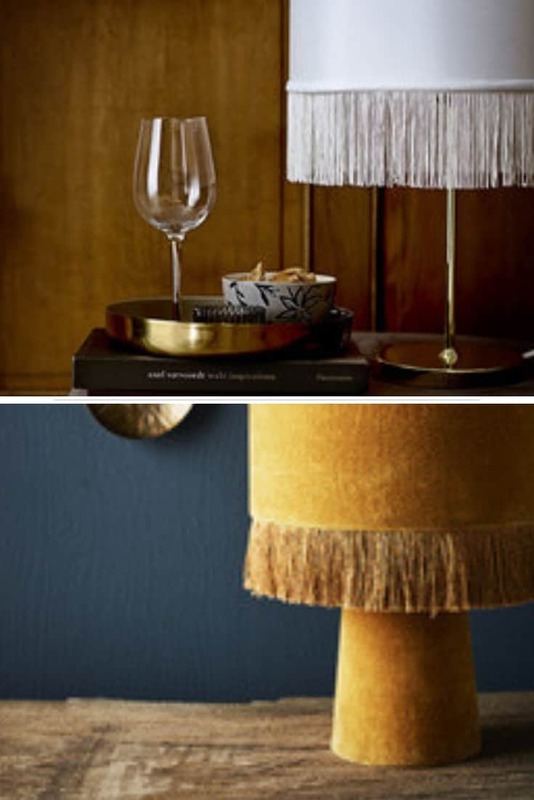 All of your lampshade fringe options are not limited to fringed lamp shades table lamps. For example, the tiered lampshade fringe trim on a fringed ceiling light conveys the vibe of a tropical tiki hut/grass skirt. 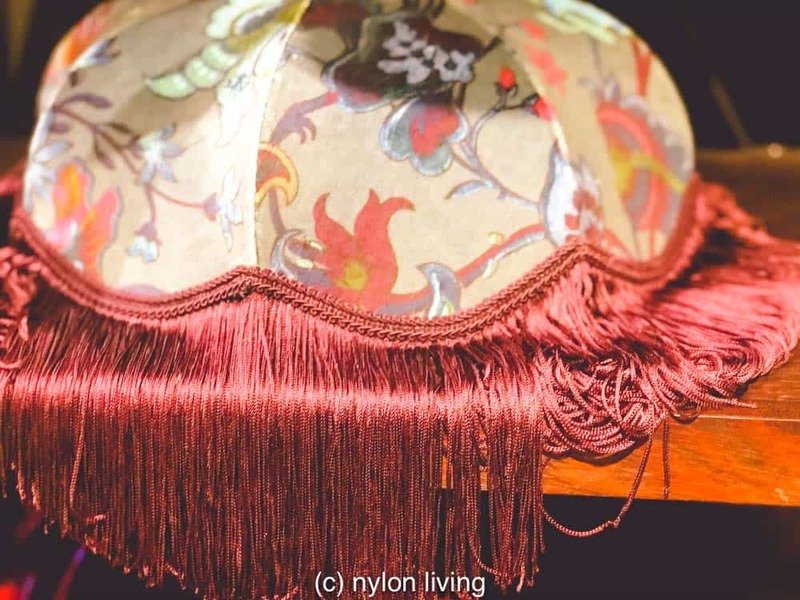 Of course, it’s not a surprise that Anthropologie have some great fringed ceiling light options since this whole lampshade fringe trim thing goes great with their boho/eclectic aesthetic. Like the look of fringed lamp shades? Spread the Word! Pin this to your Pinterest Boards for future reference!